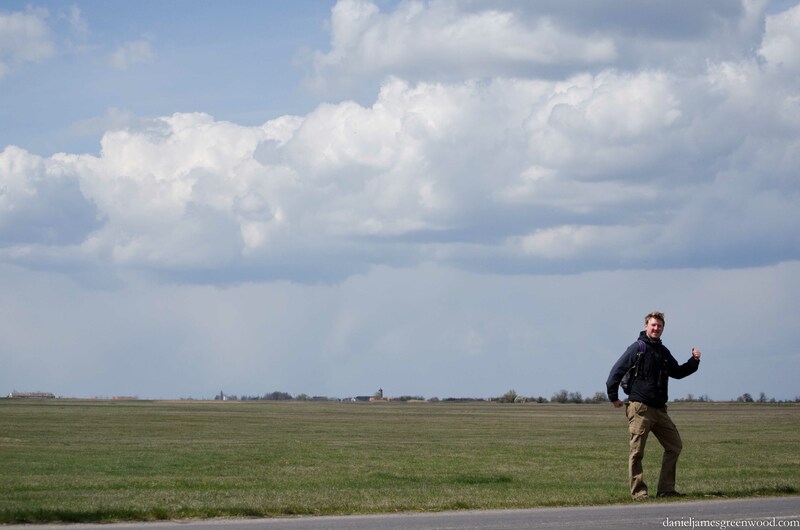 In April 2015 my good friend Eddie Chapman and I visited the Hortobágy in the Great Hungarian Plain, a Unesco World Heritage Site designated as ‘an exceptional surviving example of a cultural landscape constituted by a pastoral society’. Hortobágy is a small town in the heart of the Hortobágy National Park, three hours east of Budapest by train and a little bit to the west of Debrecen. 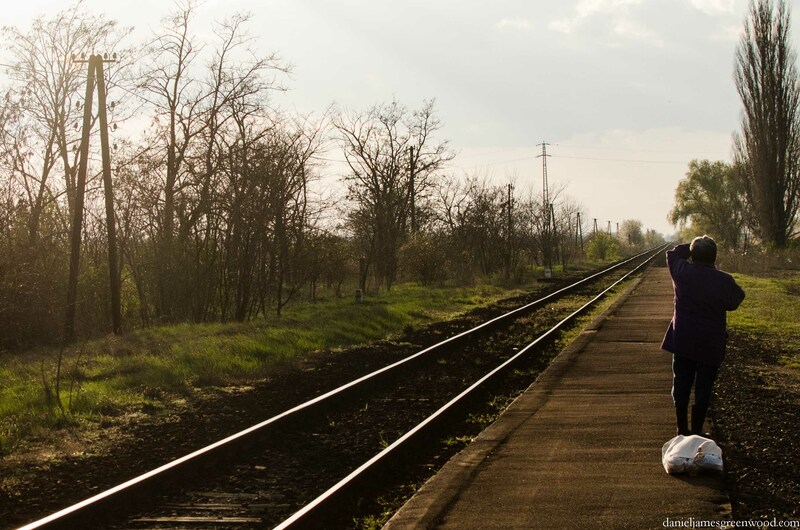 The area is a magnet for wildlife enthusiasts and we were visiting on our way to Romania by train. 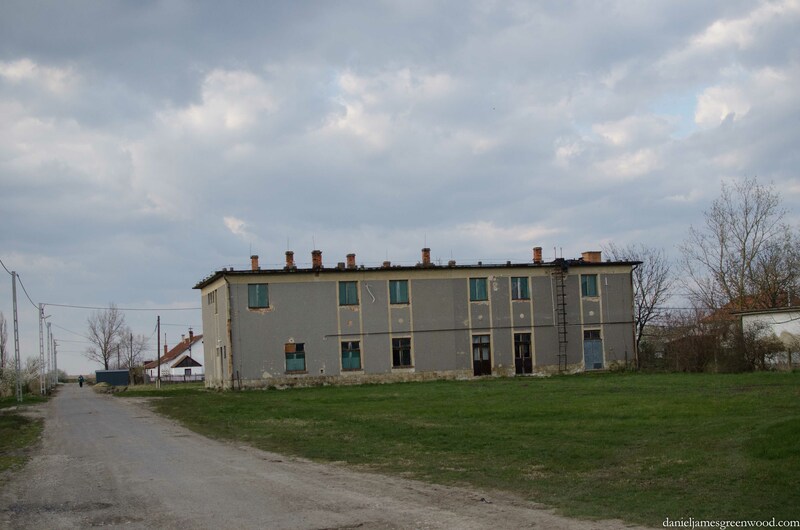 The main focus of our visit, being without a car and dependent on public transport, was the fishpond complex known as Hortobágy-Halastó (Halastó meaning ‘fishponds’ in Hungarian). Halastó was ‘dripping’ with birdlife. This vast area of water was cut through with a single gauge railway (which we never used) and a mile-long, single file footpath. We saw a long-eared owl sleeping in a bird box, six eagles in the sky at once, marsh harrier at every turn and many other wonderful species. In the town, storks cavorted in front gardens and battled for prominence on streetlamp platforms placed there to support the storks. I had wanted to visit the region for several years after reading Patrick Leigh Fermor’s 1934 account in Between the Woods and the Water, as the teenage Fermor travelled from Rotterdam to Instanbul on foot. To see this area of land over ground hid none of Europe’s failings: people living in rubbish, vast areas of land devastated by extractive industries, huge infrastructure projects half built and deserted, rivers channelled, concreted and their banks denuded, and more rubbish, so much rubbish. But we met wonderful people who invited us into their homes and villages and guided us around the lands they call their own. The wildlife we encountered, for an early spring visit, was incredible. I recommend the excellent Crossbill Guide for anyone visiting. 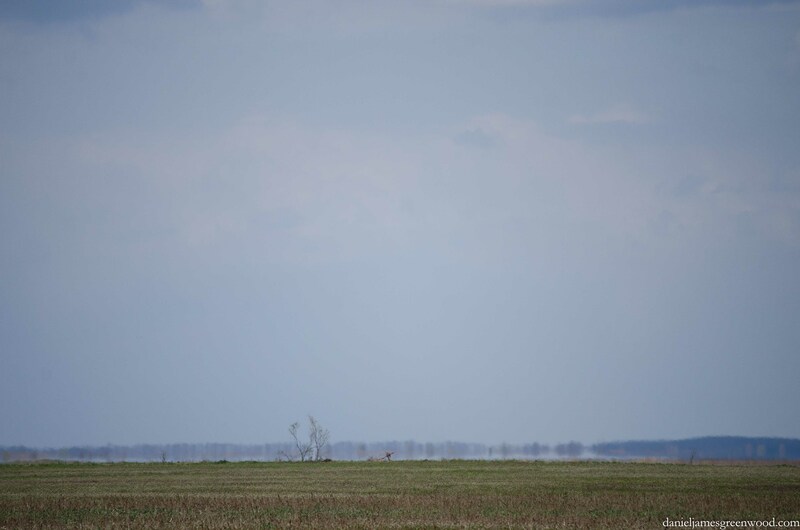 The Great Hungarian Plain or ‘Puszta’ is known for its flatness. The phrase Puszta was created after the Magyar (Hungarian) population was decimated in the 1200s by Mongol invasion and then the black death. It refers to the emptiness of the landscape after those devastating events. The Magyars settled in the Great Plain at the end of the 800s and they are seen as the founders of the land we now know as Hungary. 230-140 million years ago the Plain was covered by the Tethys Sea, which is described as ‘the mother’ of the Mediterranean. Later, the Pannonian Sea was created with the formation of the Alps and Carpathian mountains surrounding it. The eventual draining of water from the landscape led to a unique mixture of soils, namely loess and clay, the former created when glaciers grind down underlying bedrock. As a student I read Anton Chekhov’s The Steppe and other stories and fell for these endless landscapes and the people (in Chekhov’s case Russian) who had to live from them. Chekhov didn’t miss their wildlife though, his short story The Steppe reveals its hidden life, death and beguiling beauty. As in Chekhov, first impressions of the Great Plain give the sense of a deserted landscape. In reality it was alive with wildlife: white stork, buzzard, roe deer, corn bunting, butterflies, wildflowers, boxing hare, red fox. These were only the things we could see. We missed the steppe tarantula and ground squirrels. 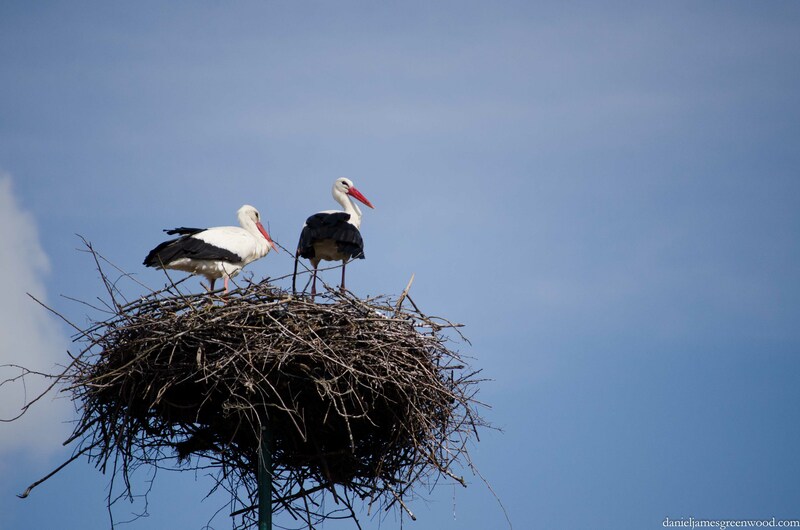 In the town of Hortobágy white storks were a common sight. They arrive in spring from their wintering grounds in Africa, building their famously large nests on platforms erected to support them. We saw tens of white stork in the town itself, some seen at dusk walking around in front gardens, sometimes in very small spaces. From a distance they looked like people, blurred either by heatlines or crepuscular light. We noticed that house sparrows were building nests of their own underneath the mass of twigs put together by the stork. 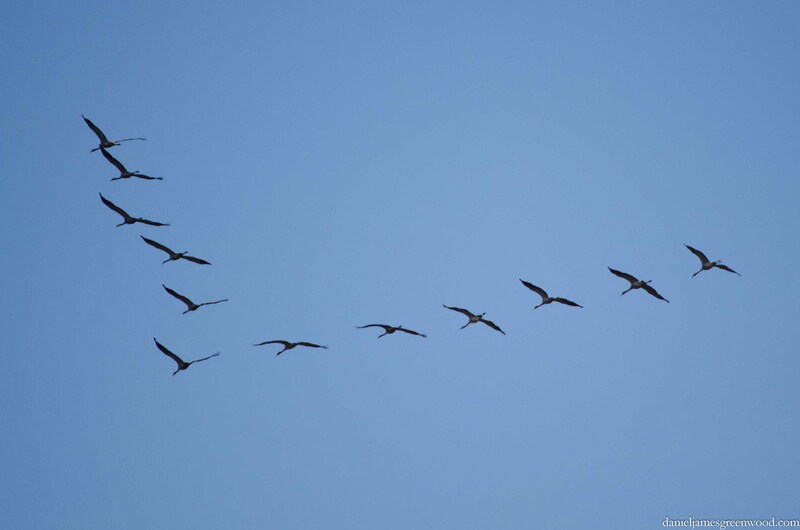 There was tension between the storks with a number attempting to intrude upon the scene pictured above. The birds are silent but for a bill ‘clacking’ gesture, evidently territorial. 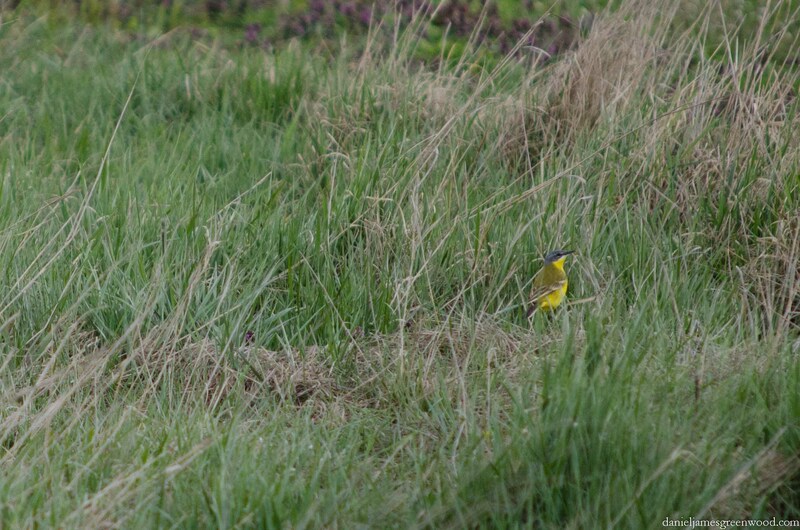 Yellow wagtail is a spring migrant to Europe which is in severe decline in Britain. There were a good number of them on the Plain. Being bright yellow with a grey head, it’s easy to mistake the more urban and common grey wagtail for this bird. The only way for us to get around was to travel by train, the only time that we were really able to mix with local people. For the untrained, Hungarian is a pretty inaccessible language, with no relation to Latin or Western languages, it descends (or ascends) from Finnish. We tried our best but could only really master egészségedre (‘to your health’ or ‘cheers’) after a week in Hungary. The railways were typically post-war Communist, pumping out black fumes and chuntering along. But they were always on time and provided a lifeline for people who had no other means of transport. No one gets around on horseback like they did when Patrick Leigh Fermor visited in the early 20th century, when ‘carts drawn by horses and oxen easily outnumbered the motor cars’ (p.44). Both Eddie and I were struck by the struggles of people in the places we visited. It was at times impossible to see the trip as a holiday, particularly because of what we saw from the windows of our train as it passed from Debrecen over the border into Romania. 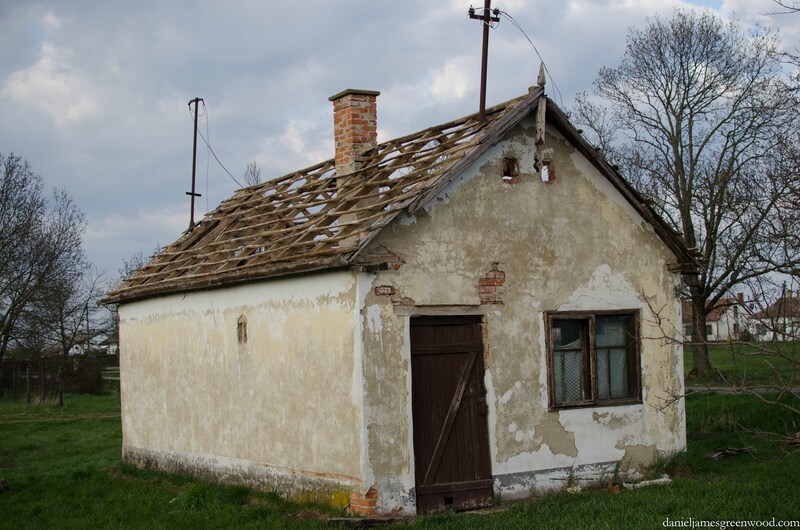 I like old buildings crumbling around and lament their loss from London (I know there is a housing crisis) and took a few photographs of some that were around the Halastó station. Having travelled in the Czech Republic and Poland, I’m not a big fan of what communism has done to the landscape. The former Soviet Union has also contributed greatly to global warming with its industrialisation of much of rural Europe. Its architectural merits are also lost on me. I’m not a fan of what modern capitalism is doing either, via agricultural intensification, oil and fracking. But agricultural intensification is something that communism welcomed with open arms, rounding up the smaller farms and destroying millions of hectares of natural grasslands, woods and rivers in the process. Today agricultural intensification is the biggest threat to the steppe grasslands of Europe and Asia, making them some of the most threatened habitats on earth. 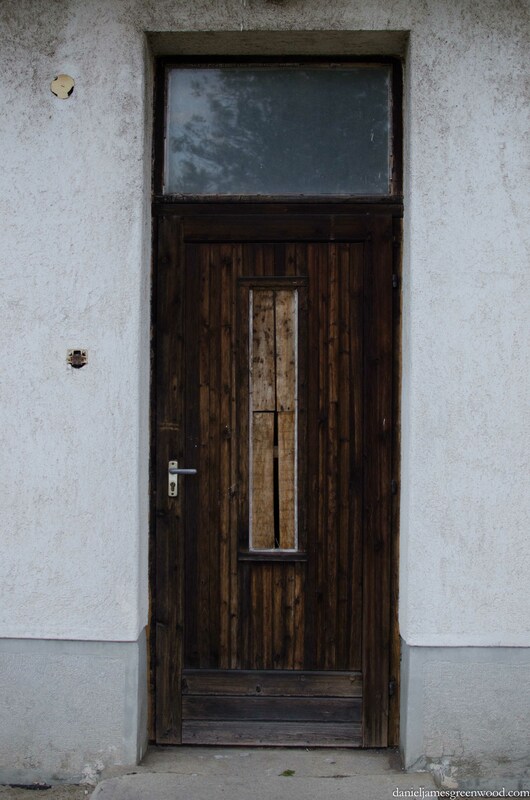 This was the door to the station building, now housing sparrows. I should say that dilapidated housing and other buildings do not mean people in the area are suffering or unhappy. Here people seemed perfectly content with life on the surface. No one was homeless and the National Park appeared to be offering good support to the local community through ecotourism. More charming for the outsider were the individual thatched cottages dotted across the landscape. The evidence of how inhospitable this landscape is for trees can be seen by the two here sheltering next to the cottage. Whether this was used to shelter livestock or dry hay is unclear to me. We arrived at the Halastó fishponds on foot. 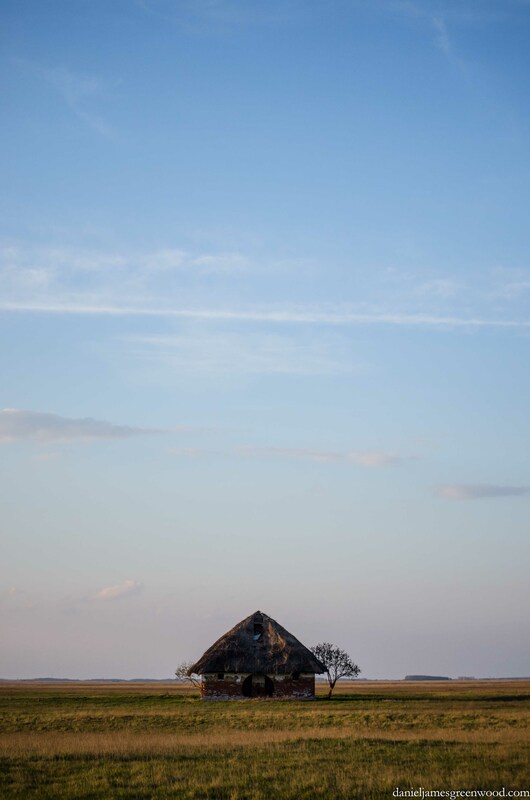 The reeds from 2014 were being cut and piled into these pyramids, neatly put in rows. 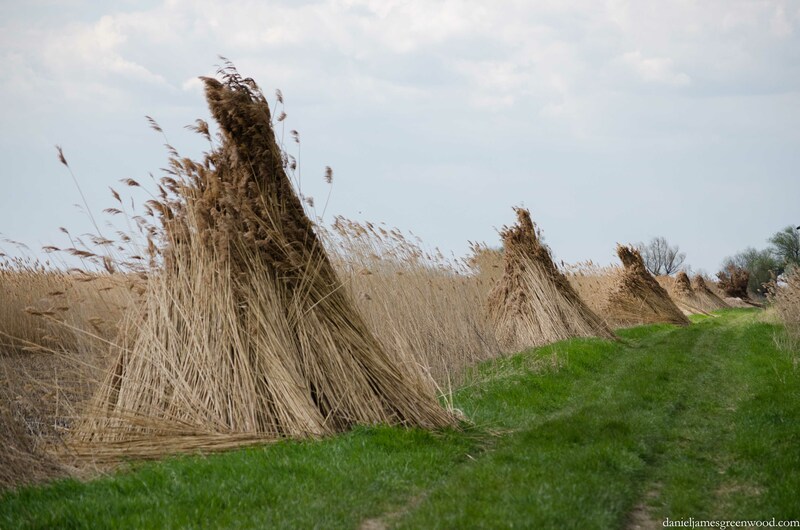 The thatch from the cottage in the previous image will likely have come from the vast reedbeds of Halastó. 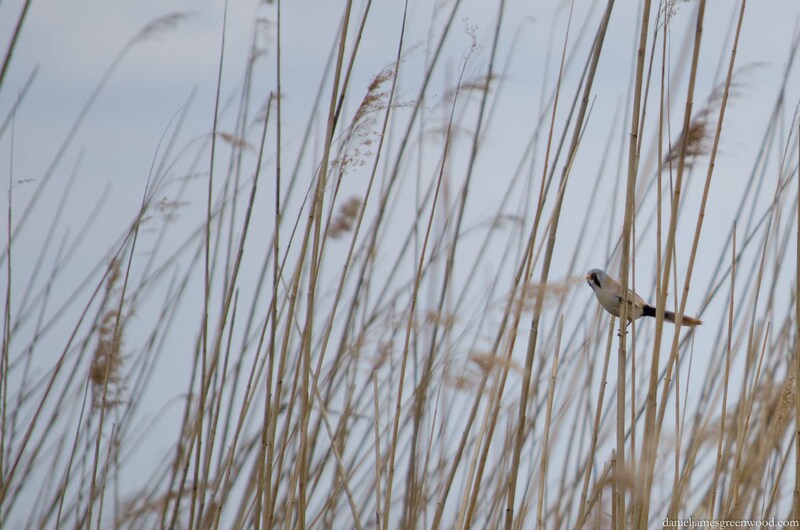 The reedbeds supported an amazing array of birds, this even before the spring migrants had arrived. 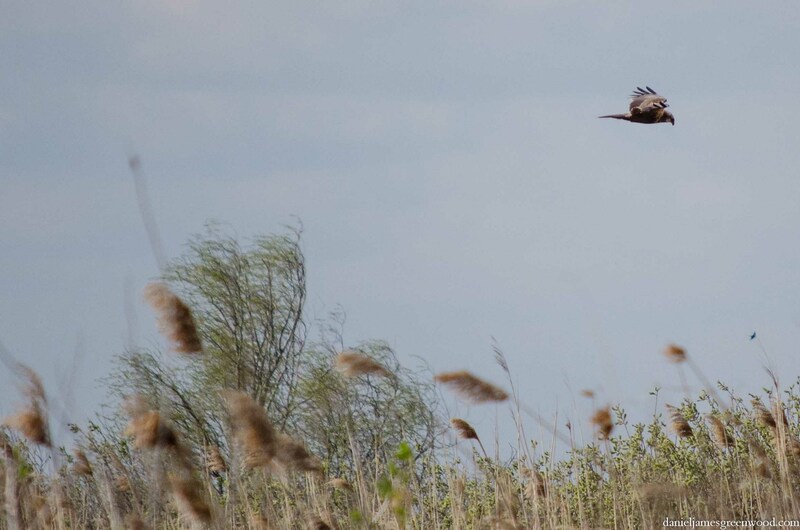 Marsh harriers could be seen at every corner of the landscape, flying low over the reedbeds in search of food. Upon leaving, we were shaking our heads at the sheer number of these birds of prey. We missed them when we’d left. Another bird of interest for us was the pygmy cormorant, relative of the great cormorant which I know from the River Thames in London, and most waterbodies, really. 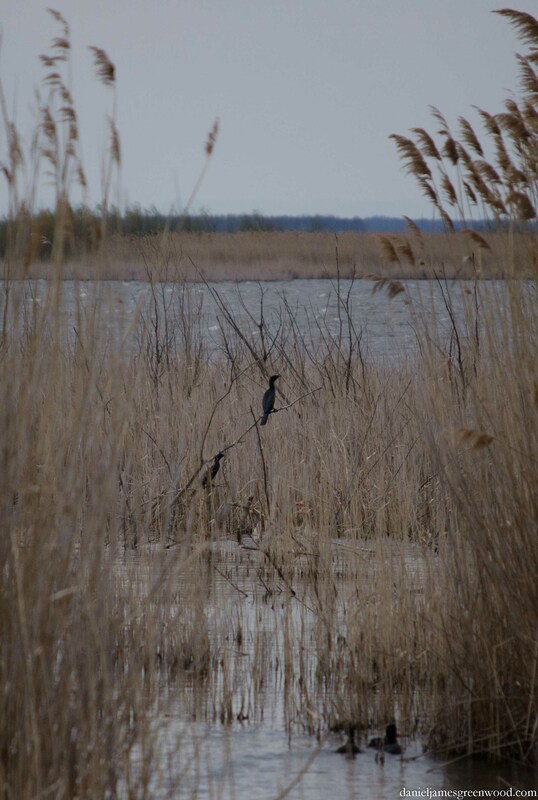 Seeing these birds perched on branches low in the reeds was like looking back into the prehistoric swamps of Europe. A line of dying trees at the edge of the fishponds were fitted with open bird boxes. The boxes were a form of social housing for kestrels, what I later found to be lesser kestrel (thanks to Nigel Spring for pointing this out to me), a separate species to the common kestrel we have in Britain. 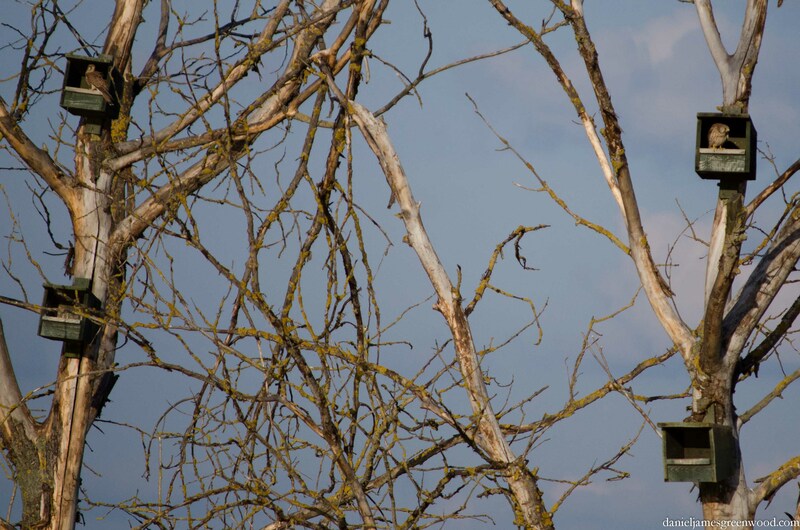 There were several more kestrels out of sight but my lens couldn’t quite capture the scene. 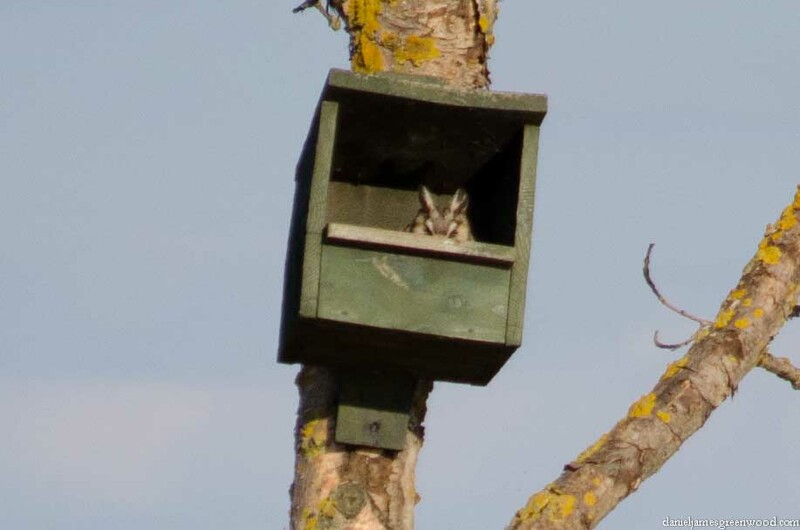 Perhaps the biggest source of amusement for us was from this long-eared owl which was roosting in the same box three days running. Ever since reading the poems of Anna Akhmatova and the film The Cranes are Flying (Mikhail Kalatozov, 1957), I had wanted to see cranes. They are returning to England as a breeding bird for the first time in 400 years, once being a common species of marsh and fenland before their habitat was drained for agriculture. These birds were often eaten by royalty in England. The Latin name Grus grus points directly to the noise they make. These birds flew over our heads as we watched the kestrels and sleeping owl. For wildlife to be protected successfully in the long term there has to be some benefit for humans as well. Fishponds have been present in Eastern Europe since medieval times and were created for royalty. Today they have a much more wide ranging commercial value and there is conflict to be found between those who like to pull fish from the water and those who like to watch birds pull fish from the water. 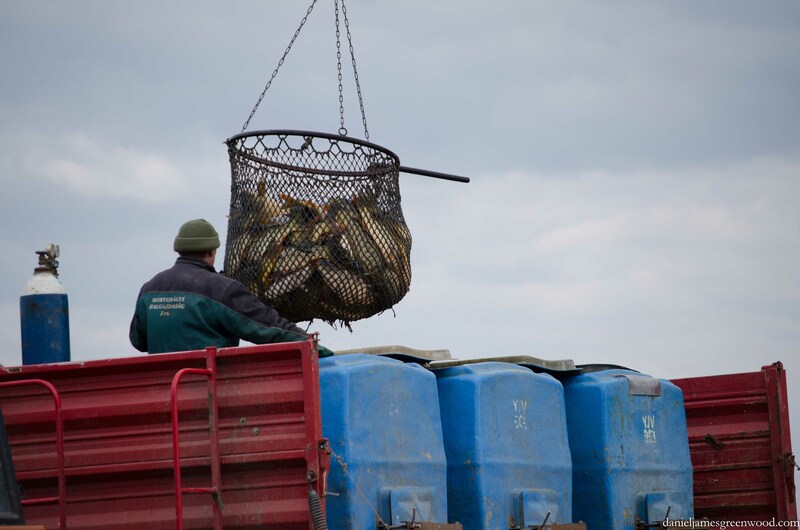 Here we happened upon workmen extracting fish from one pond into the back of a lorry. Climbing up one of the lookout posts, Eddie happened across six eagles flying on thermals over the fishponds. 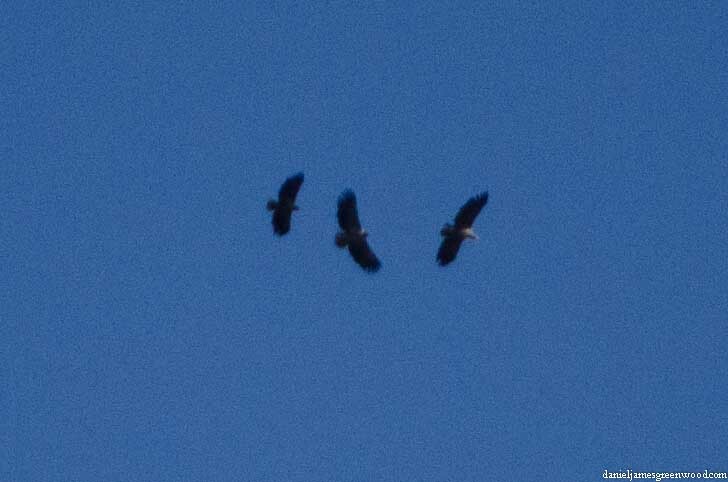 I managed to get this photo of what we think are mainly white tailed eagles with a possible lesser spotted eagle, though that may have been out of the picture. Later we saw a white tailed eagle sitting in the mudflats of a drained fishpond, taking to the air with deep wafts of wingbeats. 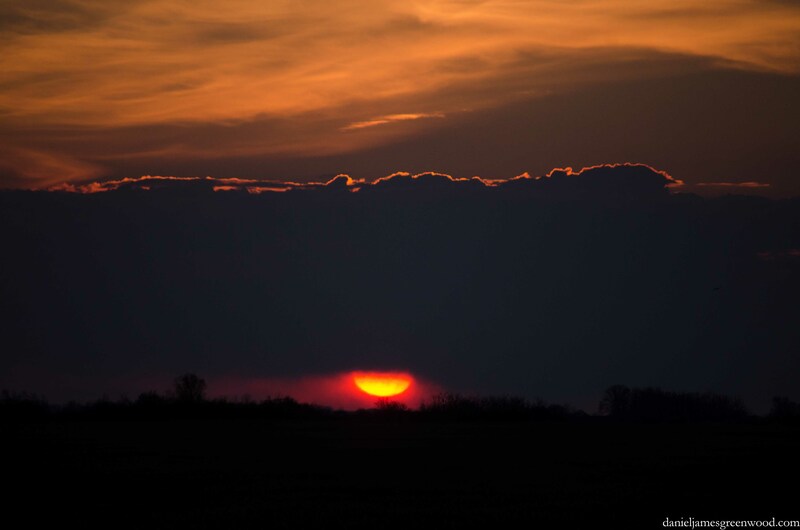 The sunsets of the Puszta are famous. We encountered this scene on our first day walking back from the fishponds. At this point we were turning back and forth between the setting sun and a pristine red fox trotting along the edge of the path. Corn buntings flocked and roe deer attempted to escape our view with nothing but the blur of the horizon to disappear into.